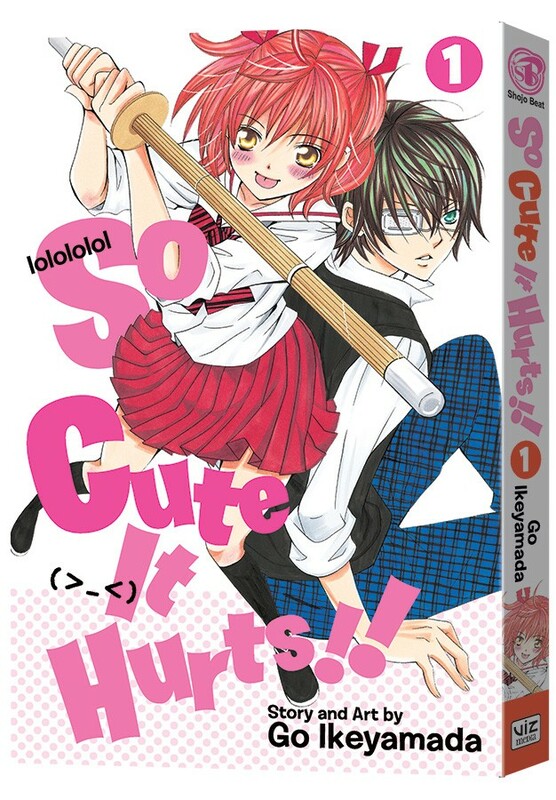 San Francisco, CA, May 19, 2015 – VIZ Media, LLC (VIZ Media), the largest publisher, distributor and licensor of manga and anime in North America, delivers a brand new shojo manga (graphic novel) series with the launch of SO CUTE IT HURTS!! on June 2nd. The gender-bending comedy about a twin brother and sister who switch identities was created by Go Ikeyamada and will be rated ‘T’ for Teens. SO CUTE IT HURTS!! will be published in print under the Shojo Beat imprint and will carry an MSRP of $9.99 U.S. / $12.99 CAN. The series also launches digitally on June 2nd via VIZManga.com and the VIZ Manga App as well as from the Nook, Kobo, Kindle, iBooks, comiXology, and GooglePlay stores. Future volumes will be published on a bi-monthly basis. SO CUTE IT HURTS!! introduces readers to the Kobayashi twins, Megumu and Mitsuru, who were named after historical figures. But only Megumu has grown up with a taste for history. So when Mitsuru is in danger of losing his weekends to extra history classes, he convinces his sister to swap clothes with him and ace his tests! After all, how hard can it be for them to play each other? In the opening volume, Megumu can’t rely on just her book smarts in Mitsuru’s all-boys, delinquents’ paradise of a high school. And Mitsuru finds life as a high school girl to be much more complicated than he expected! Manga creator Go Ikeyamada’s debut manga, Get Love! !, appeared in Japan in Shojo Comic magazine in 2002. Her current series, SO CUTE IT HURTS! !, is now published in English by VIZ Media. For additional information on SO CUTE IT HURTS or other manga titles published by VIZ Media, please visit www.VIZ.com.